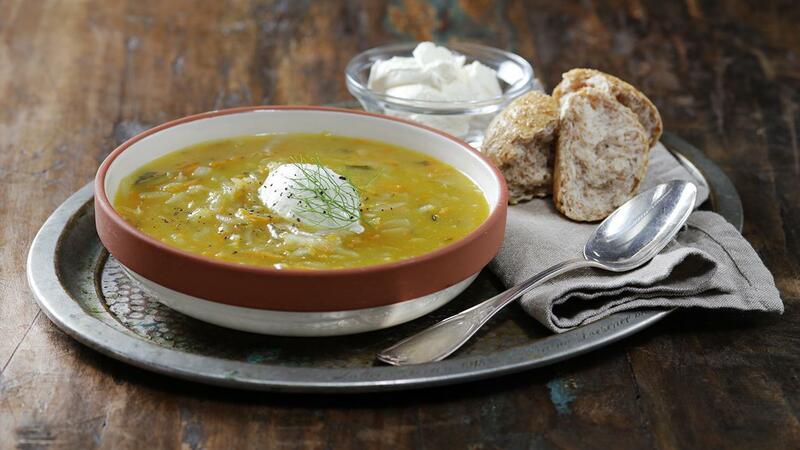 A soup designed for your European guests but made easy and healthy for Ramadan and something different on the buffet. Sour cream compliments the soup very well, on the side or a little on top. In a large pot sauté garlic, potatoes, carrots, & onions in butter. Add pickles and continue to cook for few minutes or until vegetable become tender. Prepare Knorr Chicken Stock Powder with 3L of water and add to cooking vegetables. Bring to a boil and cook until the potatoes are tender. Thicken with Rafhan Corn Flour. For a garnish top the soup with sour cream or place it on the side.